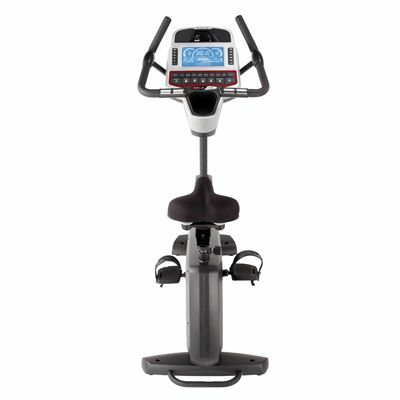 The console of the LCB upright bike enables you to monitor time, speed, distance, resistance, calories, programme and pulse while working out and choose among 10 programmes including 1 manual, 5 pre-set, 1 user defined, 1 fitness test and 2 heart rate control. All the workouts can be easily selected using programme buttons on the console, whereas special quick level keys allow for quick adjustment of resistance levels (1, 4, 8, 12, 16, 20, 21, 24, 28, 32, 36, or 40). 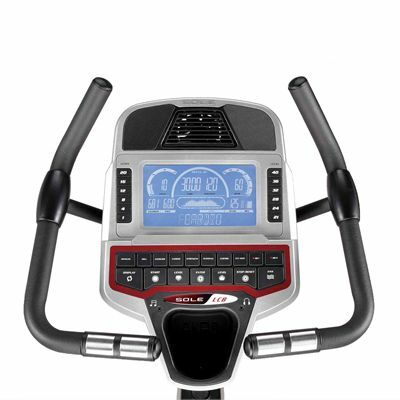 To make your workouts more enjoyable the console also features an audio system with two speakers and an audio jack for mp3/iPod/smartphone connectivity. 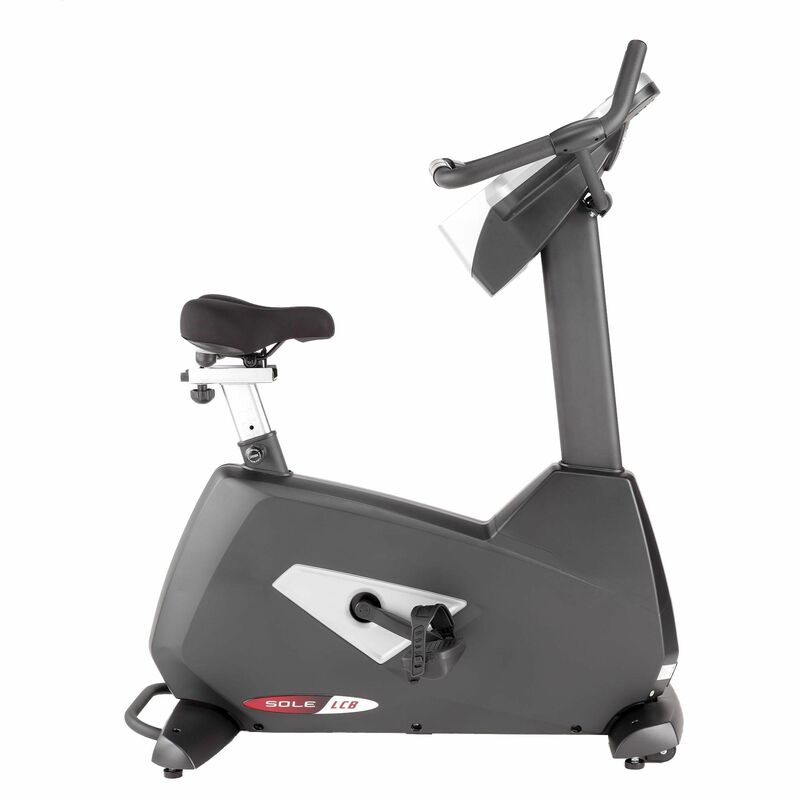 The console power of the Sole LCB is created by a built-in generator, which means that the computer is automatically powered up when you start pedalling and goes to a stand-by mode when there is no movement on the flywheel. 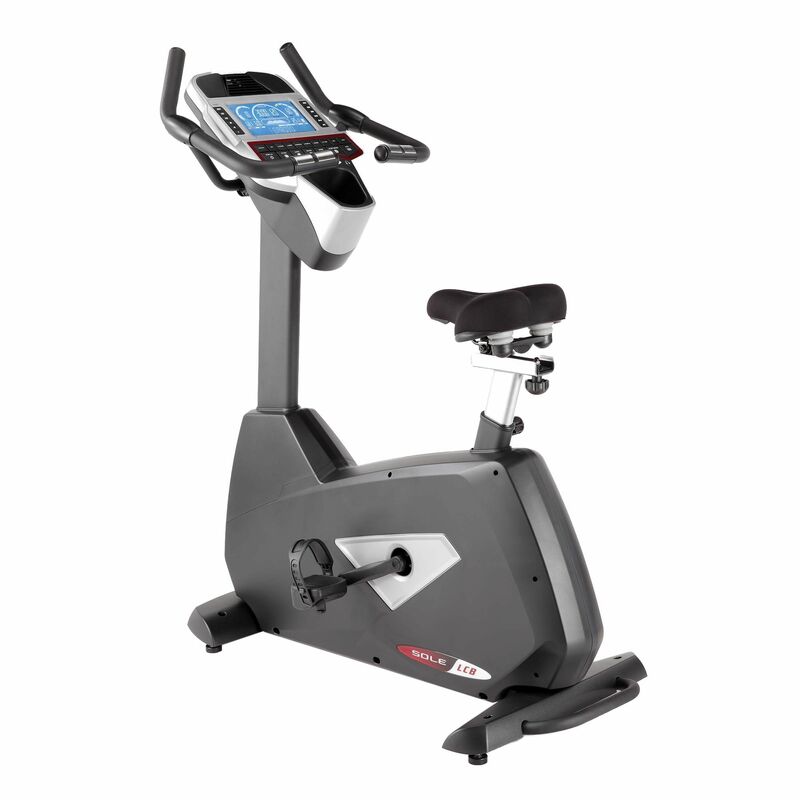 Heart rate measurement with the cycle can be easily achieved using hand pulse grip sensors or a more accurate wireless receiver (chest strap not included). The bike is equipped with oversized foot pedals with a 2-degree inward slope and a cushioned gel seat that can be adjusted both vertically and horizontally to help you find an optimum comfort level during the workout. for submitting product review about Sole LCB Upright Exercise Bike.